So excited to be heading back east, home for the holidays! I cannot believe we are celebrating our second Christmas as Iowans. What an incredible year it has been. I'd like to thank everyone for the love and support we've felt during our move and over this past year. We wish you a warm and cozy Christmas! 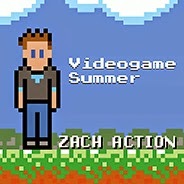 Zach's Album- Videogame Summer- available now! a musical masterpiece by the one and only, ZachAction (my hubby♥)! Nearly seven years ago, Zach picked me up for our first date, Feb 6th, 2008. We went to City Tavern and over a few cocktails talked about art, music, and life. While I forget most dates/ historical factoids/ movies I watched yesterday/etc, I remember that first night like it was yesterday. I remember sharing our art with each other; some paintings I was working on, and the songs he had been creating. I was blown away by our conversation, by the way he listened and seemed genuinely interested. It was so refreshing. Over the past seven years Zach's been by my side, he's been my number one supporter; he's believed in me, he's ever-so-patiently critiqued the hundreds of paintings I've sat in front of him , he's listened to me whine when I've had creativity-block. He's helped me set up at festivals, move studios, take pieces to galleries, and build my website. Most importantly, he's loved me when I needed it most, calmed me when I'm frustrated, and taught me to trust. He's been the best teammate I could have ever hoped for and I love him more each day. While we've been busy with school, work, getting married, buying and selling a home in NC, moving to Iowa, and life, Zach managed to finish the album he started over nine years ago! I am SOOOOOO proud of him! Videogame Summer was released on my 30th birthday and I am so happy I got to be by his side to celebrate! We would like to thank all of you who've already shown your love and support by purchasing and listening to Zach's CD. You guys rock! For those of you interested in a copy of your own, for a friend, or for your office Secret Santa, follow the link above or below and a few easy clicks will have "Videogame Summer" at your door! to listen, learn more, and purchase your own copy of "Videogame Summer"! While we celebrated "Small Business Saturday" last month, it is so important to shop local and support your neighbors every month! Each time you purchase from a small business, an artist, a crafts person, boutiques, Etsy, local bakeries, your local hardware store, your hometown restaurants and grocery, you are making a direct impact on individuals, their families, and the community. Even if you are purchasing things online, look to Etsy, Facebook, personal websites, etc. There are millions of hardworking people making crazy awesome creative treasures for anyone on your gift list. Thank you so much for buying local! With this in mind and the holidays just around the corner, I decided to share some "local" shops, handmade gift ideas, and artisans who'd love to help you with your Christmas lists! Kate's shop is full of beautiful art that is not only for decoration, but perfect for everyday use! I am a pottery person. I love it. I collect it. I like to get pottery from all over and from lots of different potters. I cannot get enough of Kate's. You'll love it too, and she'll ship it to you! 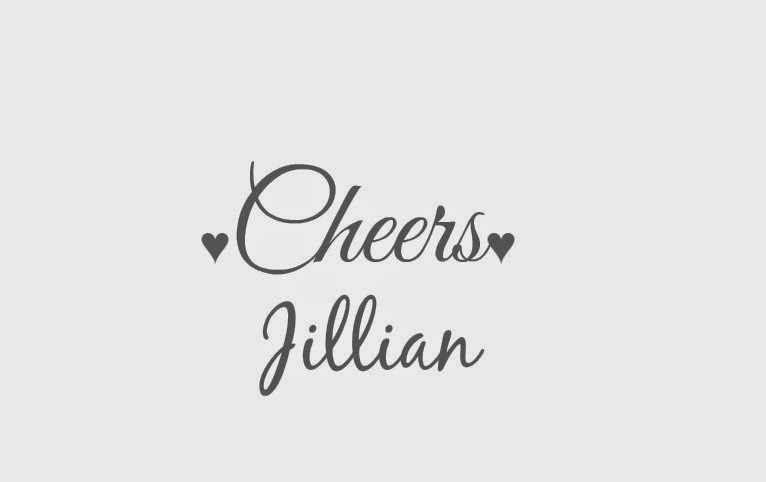 Trust me, you'll want to check out her website, click here, or follow her on facebook here. Janet has done a truly incredible job of supporting Iowa products in Willow Creek on Main Street in Elkader. You can find a great variety of Iowa-made products all in one location! To list a few: my own original J.Webb Fine Art & Photography, "it says" hand-painted signs by Elkader's very own Stacy, Strawberry Point's Mad Woman Pottery, iron garden decor from Victor, Molly and Drew's Beer Bread and Dips, two Iowa wineries-Cedar Ridge Winery & Empty Nest Winery, Milkhouse Candles, and more! I'm super grateful to hang my artwork in Janet's beautiful shop... come see us at 115 N Main in Elkader, Iowa! 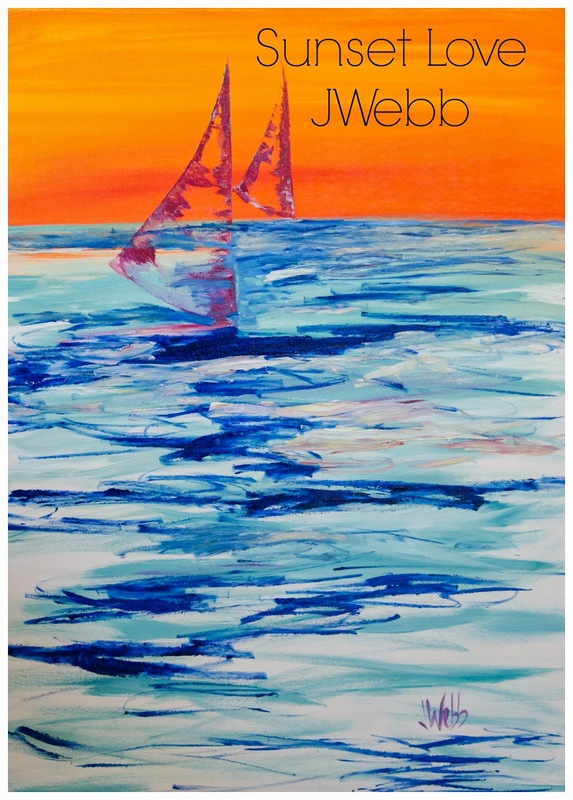 There are still a few days left to give original J.Webb art this Christmas. Or you can stop in and shop at Willow Creek! Thank you so much to those who have believed in me, supported me and encouraged me along the way! I cherish the ability to create and connect with you through my art. I'm grateful. Turkey River Mall, Archive, JEM Salon, Mirror Images, Elkader Carpet and Design, Moser Family Pharmacy, Coast to Coast, Bridge Street Boutique, Wilkes (I'd love a bottle of organic cherry juice concentrate in my stocking... how bout you?! ), the Elkader Floral Shop, your local Young Living Representative, Camp Power Sports, purchase an Elkader Yoga punch card for a friend, Alpine, the General Store, your local jewelry store, buy Opera House tickets, support your Elkader Cinema, and the list goes on and on! These are great places you can support this holiday season and every season. blog post coming soon, and so should you! What are some of your favorite local stores? Can you think of 3 places you'll shop in your hometown? What's your favorite online shop? One month ago, Zach and I flew into sunny South Carolina to photograph Leslie and Andy's gorgeous wedding at Murrells Inlet. One great thing about a destination wedding: extra time for more photos! 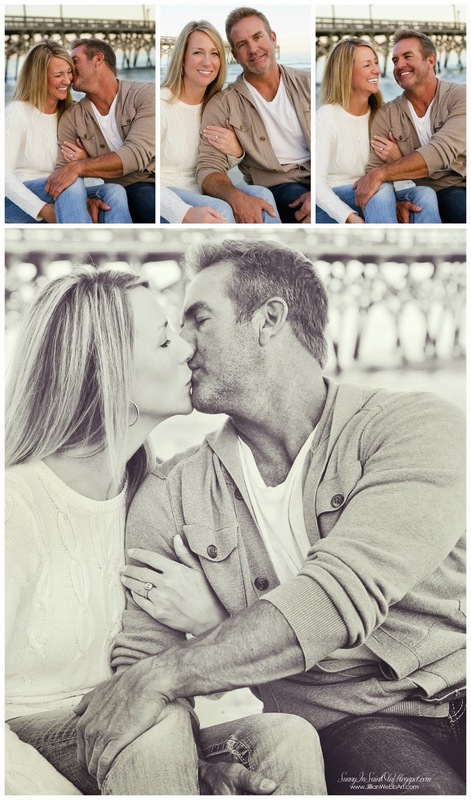 Who said "engagement sessions" had to be a year in advance? The night before these lovebirds said "I do," we met on this beautiful beach where many of Leslie's fondest childhood memories were made. 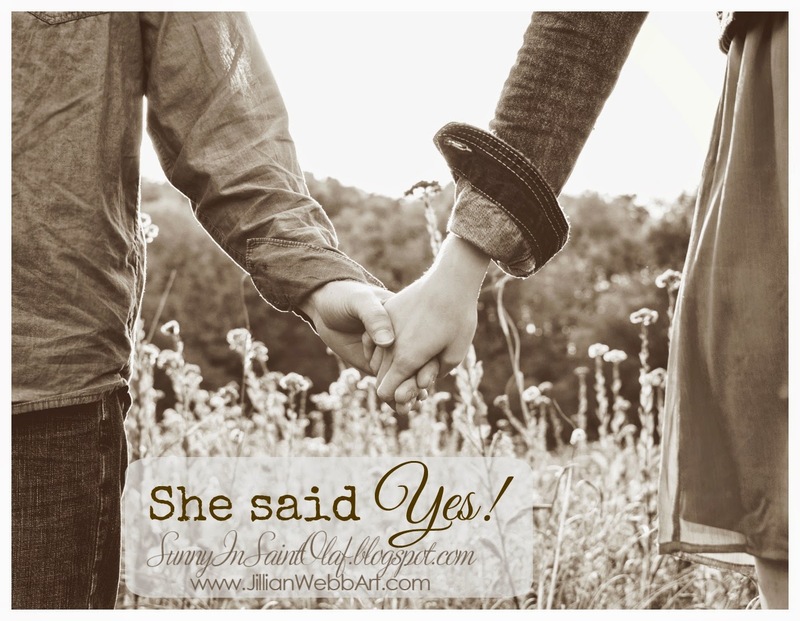 We shared laughs, stories, excitement, and we captured precious wedding-eve moments. The pure joy and anticipation rolled in like the waves and the sunset was magnificent! 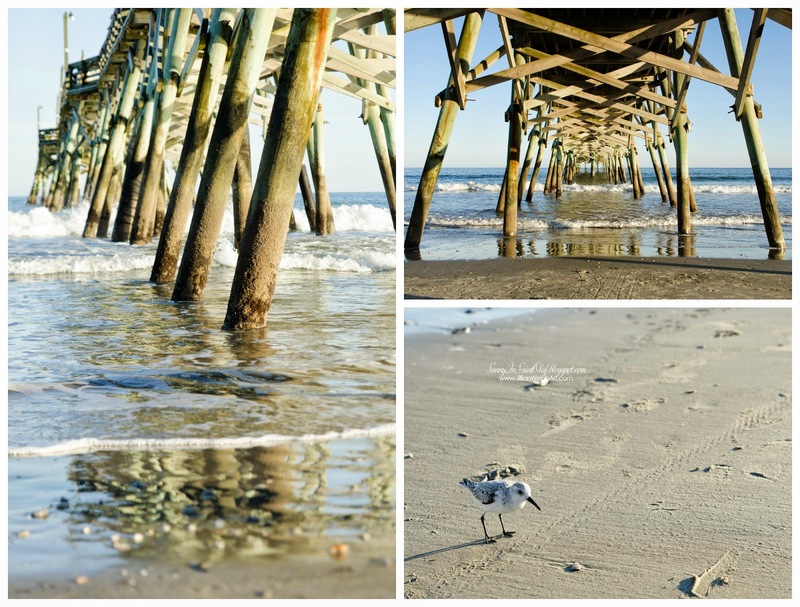 Coming soon: Andy and Leslie's Murrells Inlet Wedding! 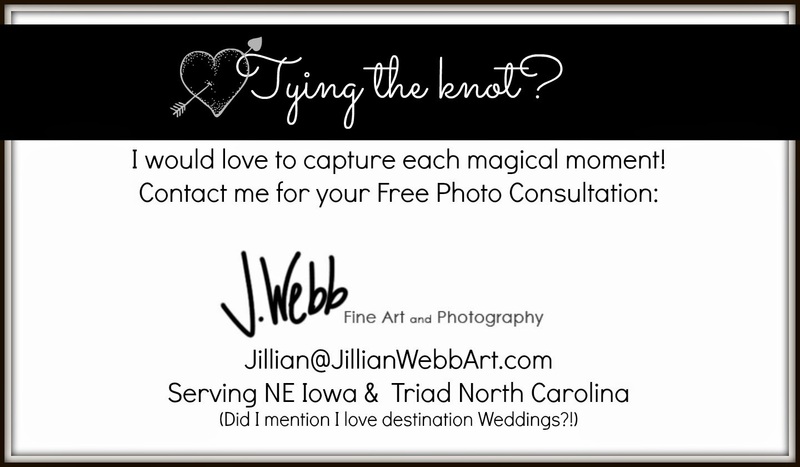 Tying the knot and in the search for your photographer? You truly are the bomb! You know how to go the extra mile. We've worked til we nearly fainted. We'd give you five starts on the website called Yelp! Faith, Hope, and Love is what she sings. She’s crafty, clever, and sweet as honey. 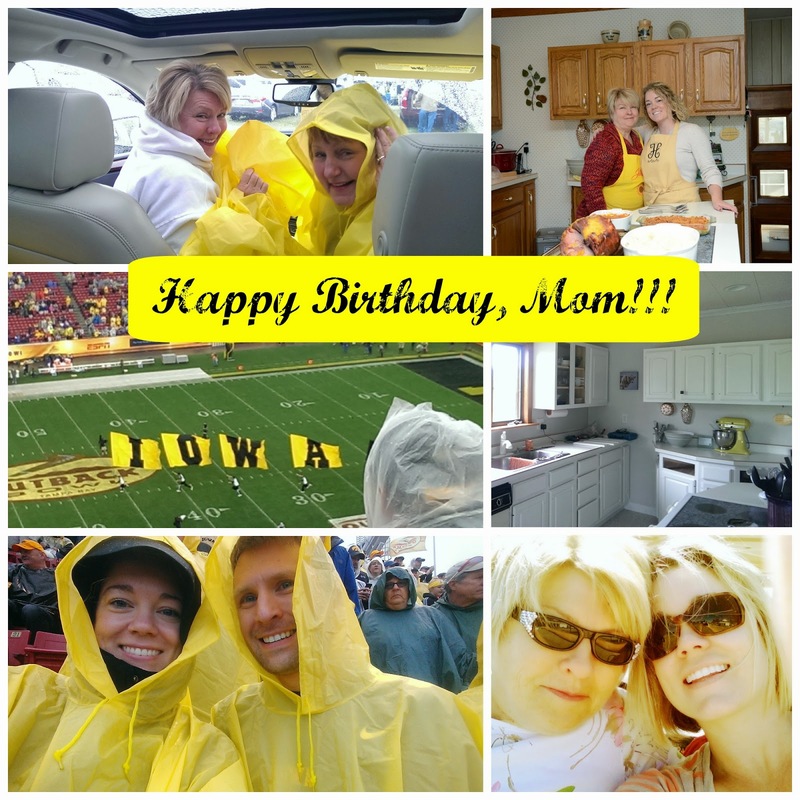 our Mom is amazing, she's awesome, she's wow! but mostly, for just being you! I've fallen in love with NE Iowa and our rolling landscapes, and I just had to share this photo that I took near our farmhouse the other day. 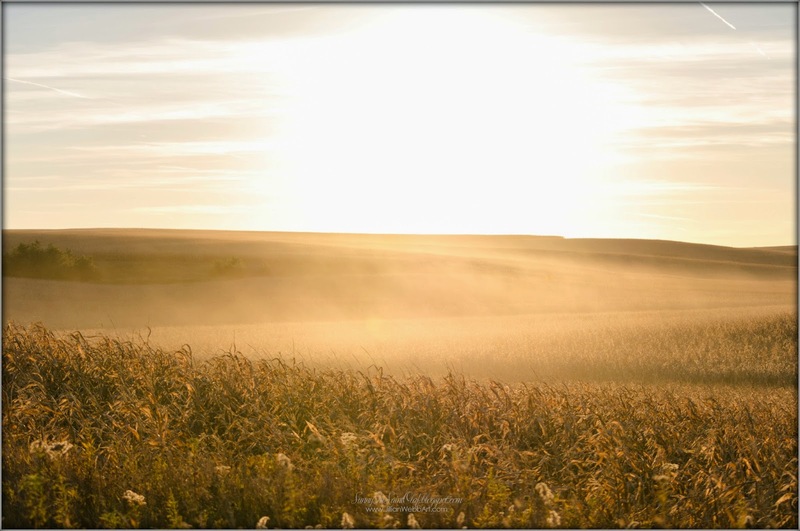 These golden fields wave in the autumn wind and glisten in the sun. Fall has always been my favorite season, when the air becomes crisp and the leaves have changed, and you can smell marshmallows roasting and pumpkin spice in the air. The farmers are harvesting their seas of corn, and the deer have cleaned up under the apple trees. The picnic tables and chairs are stored and I remembered to unhook and put away our water-hose. 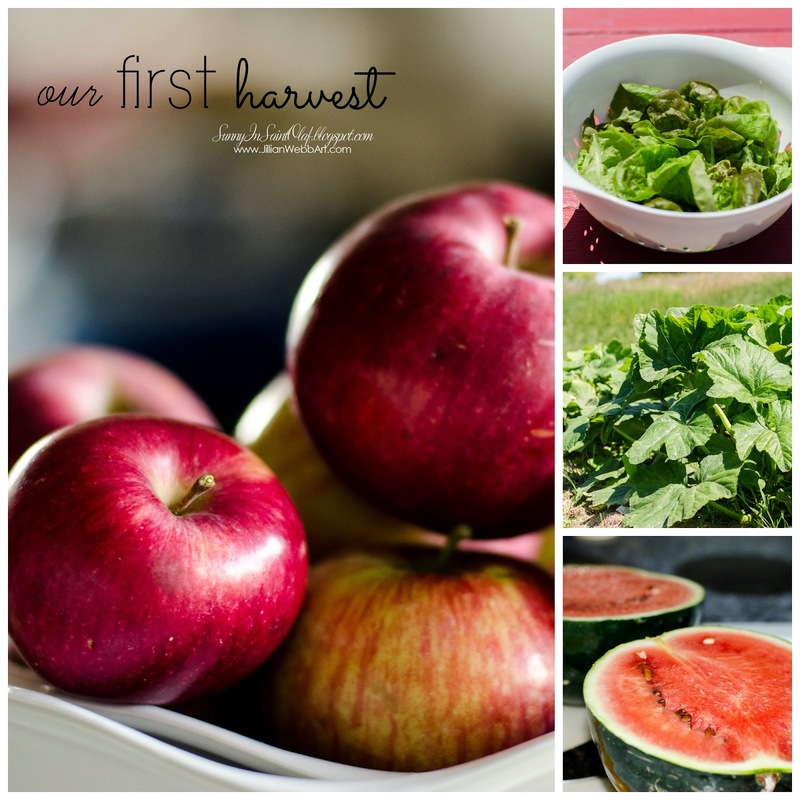 Our First Harvest│ First-time Gardeners│ Farm Fresh! 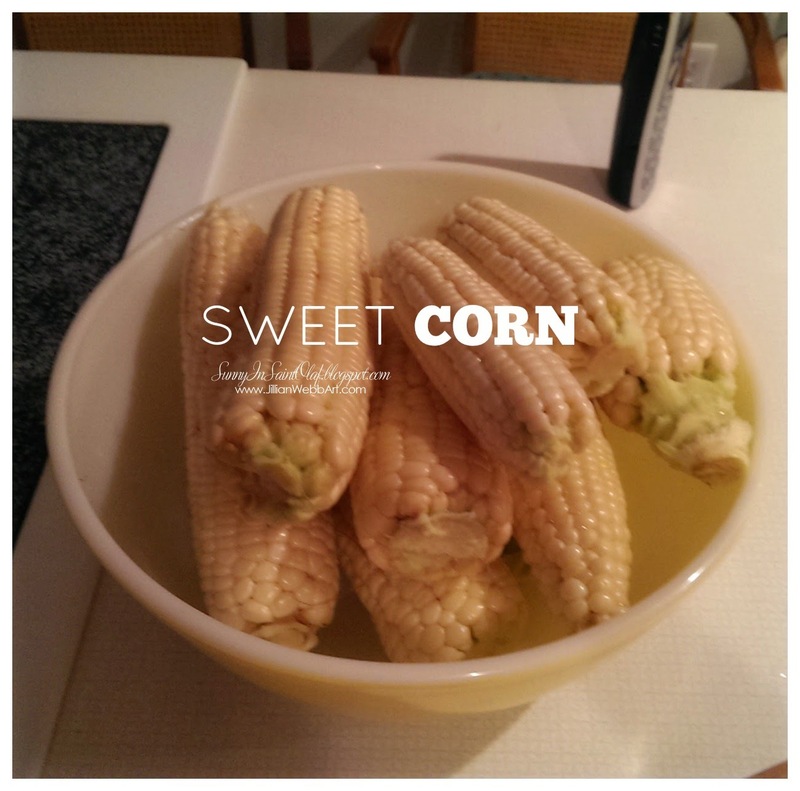 Here on this last day of October, the last day of my twenties, I felt it appropriate to blog about my first harvest, and our first year on the farm. I cannot believe how fast the year has gone, how fast thirty years have gone. Time really does fly. I whole-heartily believe that no matter how long you live on this earth, life is short and each moment counts. This year I made it my goal to live in the moment, try new things, and be grateful for each blessing-conversation-interaction—no matter how large or small. Tackling projects outside of my comfort zone has been quite rewarding. 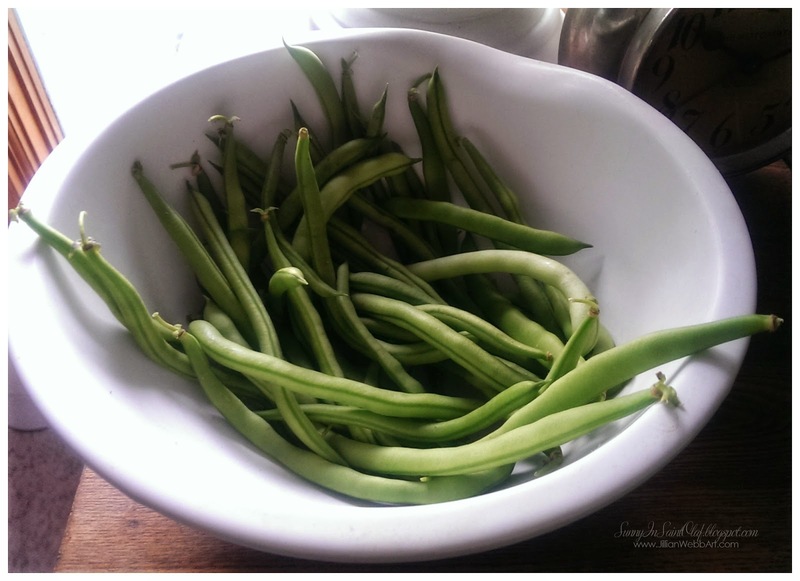 One of the most unexpectedly-magical projects was our first garden and harvest. While gardening is a commonplace activity for the majority of folks here in NE Iowa, planting my first garden, watching it grow, and harvesting our produce felt surreal, symbolic, and monumental. It all started when I met Kate and she wanted to plant her first garden, too, so we decided to plant and learn together. We had no clue what we were doing, but we had fun doing it! We quickly decided that this would be an experimental weed-less garden. By weed-less, I mean we didn’t pull weeds or use any weed killers. With all of the weeds, we still had lots of vegetables, but we did decide that next year we will make an effort to keep them down. We talked about fencing, but never got around to it. Even though we didn't put up a fence, we only had minor disturbances (cows in the corn). Our garden wasn’t the prettiest in the neighborhood, and it definitely wasn't perfect, but we actually grew vegetables! It felt like a miracle every time a new plant popped up out of the soil. I remember jumping up and down when we realized we had corn popping up in rows! After having our first garden, harvest has a whole new significance to me. I am so thankful for all of the blessings, experiences, relationships, and even the weeds that I've encountered throughout my life and our first year on the farm. For you seasoned gardeners out there, our crop may seem meager; however, to Kate and me, we rocked it! I've thoroughly enjoyed all of my adventures over this past year, and being able to look back at them on the blog. I'm sure my family, and friends "back home" have been completely surprised by my garden updates, jelly making adventures, reno projects, and all of the other atypical-Jillian behavior that's taken place! Our garden was definitely one of the highlights of my first year, and I can't wait to see what we plant, grow, and harvest next season! On a sunny October afternoon, Shannon and Jason drove up to NE Iowa to spend the day and to be surrounded by fall foliage while they had their engagement photos made. 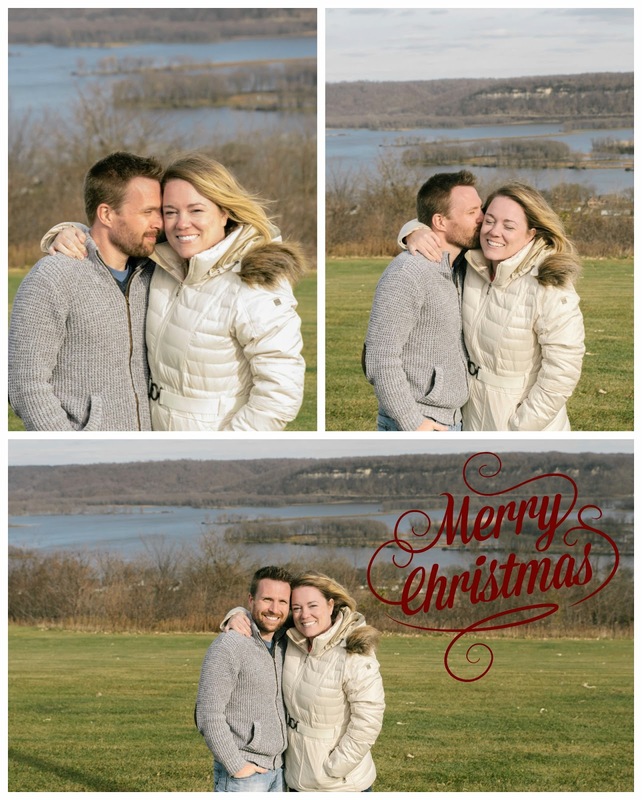 Jason’s sister had given them my info, and I was super excited to meet and photograph these lovebirds! Taking advantage of the gorgeous day, we explored several serene locations. I loved getting to know these two. We had such a perfect day that our two-hour session turned into an all-afternoon adventure. 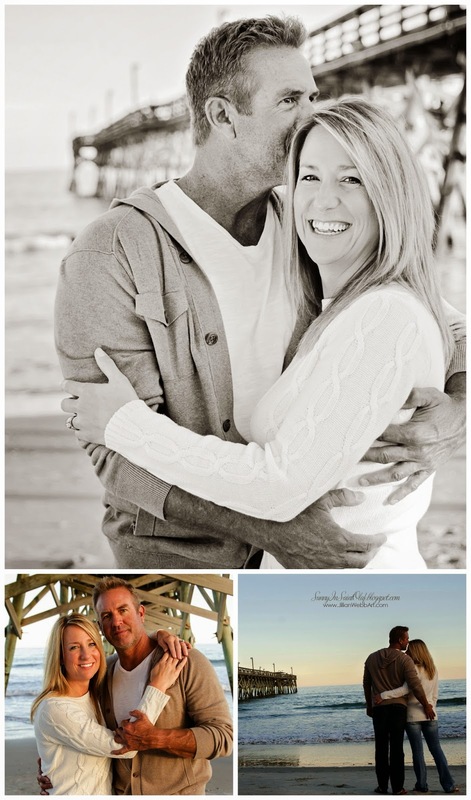 There was so much love and laughter during our photo session, and the images radiate their super-sweet personalities. 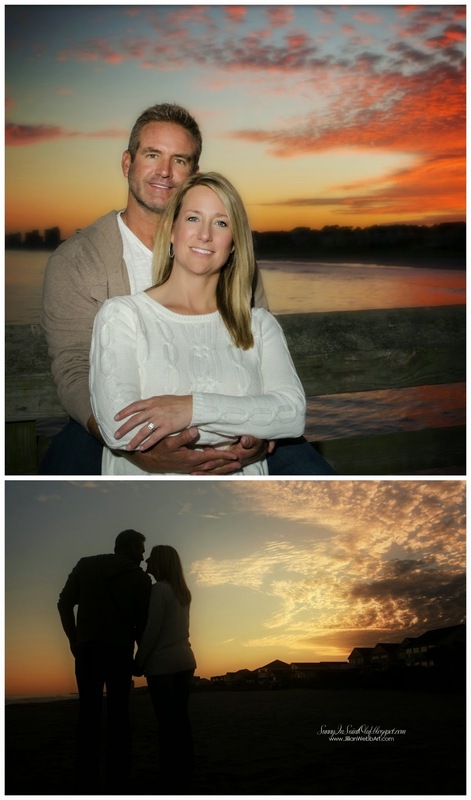 Jason & Shannon, thank you for asking me to take your engagement photos. I couldn’t be more excited for you both and I wish you all the best! 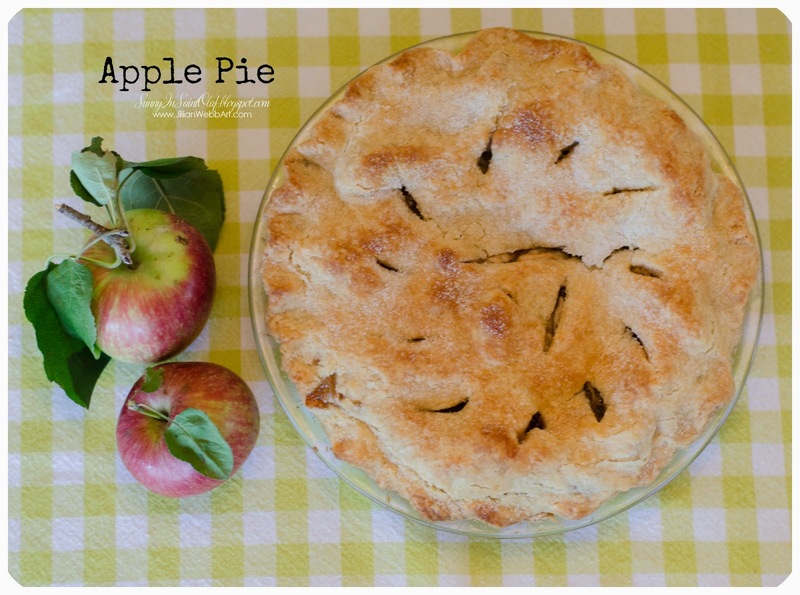 Apple Pie│Faith's Fabulous Flaky Pie-Crust Recipe│Secret Ingredients│DELICIOUS! I apologize that I'm just now getting back to my blog, but don't worry—it has been very sunny in Saint Olaf and I have tons of things to show and tell you! We've had a super-fun, busy summer and fall. I cannot wait to catch you up with lots of overdue posts: our first harvest, friends who've visited, trips we've taken, photos, delicious details, art, and more. To start, let me give you a photo overload of our apple pie cooking class that took place back in September. Do you remember my Grape Jelly post with my friends Faith, Jodi, and Emery? Well last month we were at it again. This time Faith shared her secrets to making the most buttery, flaky, mouthwatering pie crust. On a beautiful afternoon in September, I ran outside to quickly harvest some apples from one of my favorite trees on the planet. Zach's grandparents planted our apple tree years ago, and it has grown so big and beautiful. I've loved watching this tree through all of the seasons. In the spring, the tree blooms white and fluffy, then mini green tart apples appear. As fall rolls around, gobs of large, shiny, red apples cling to each and every branch. I still can't believe how many apples grew on that one gorgeous tree. I grabbed my apples in a hurry (I'm usually running around in a mad dash to get everything done before anyone shows up at the house) and ran back into the house as Jodi, Emery, Kate, and Faith arrived. We needed to make the pie crust first so that we could let it chill while we peeled our apples. Faith brought several of her and Gabe's apples from their farm in west Iowa. (What big beautiful apples you have! Why, the better to bake with, my dear!) 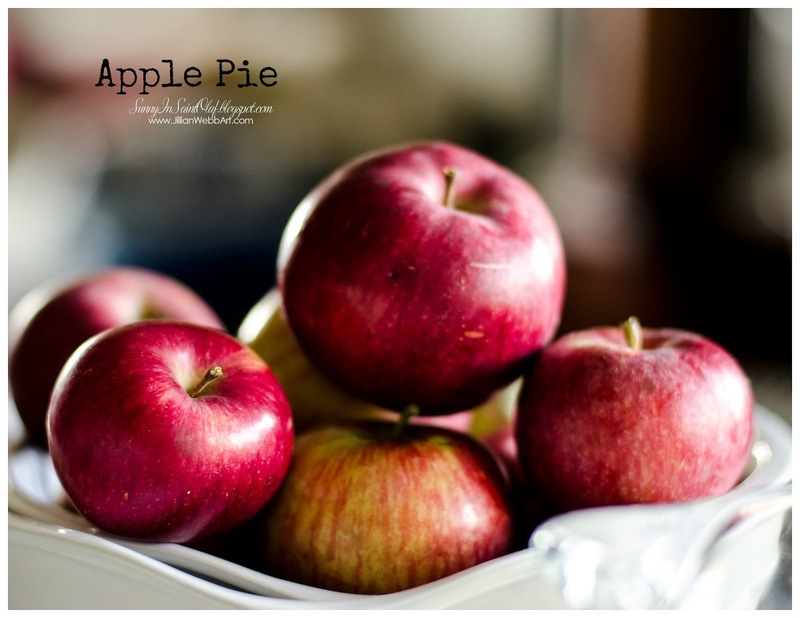 I actually preferred Faith's apples to mine for baking and I'll show you why at the end of this post. Have a fabulous friend who likes to share her tricks of the trade. Make your crust first so it can chill while you peel. Do not overwork your crust. Oh, and no sleeping in class! Unless you are Emery—we let her get away with it. After we had our crusts pressed into disks between our plastic wrap, we stuck them in the freezer to chill while we moved to the dining room table to peel our apples. Making apple pie takes time, but what a fun way to spend the day with friends. We even got to see Emery try her first taste of apple. After the apples were peeled and sliced, it was time to roll out our crust. If you're really good, you can talk on the phone while you roll out a perfect pie crust. Would you believe Faith was actually talking pie to the person on the phone? Some people use fancy rolling pins in combo with the "regular kind." Rolling your crust between plastic wrap makes it easy to lift and store. You can just slide your pre-rolled crust into a freezer bag and stick it in the freezer for a later date. That's what I called being prepared! Sometimes you have to perform pie surgery. Don't worry, it only takes a bit of water to glue your crust back together again. If Jodi and I can do this, so can you. When my pie crust turned out perfect in the pan, I was pretty proud of myself. Emery was quite impressed with Jodi's pie crust skills, too. You can make up your pie crust in advance and freeze them. I'll definitely be doing that to save time in the future. After we put our top crust on, Faith taught us to tuck-in the top crust. What a neat trick. She also showed us how to make those classic scalloped edges. Don't forget to make your vents and mark it with an A for Apple. Always brush the top with milk and sprinkle sugar for a sweet shimmery crust. My first double-crust apple pie, made with apples from our very own tree. What an awesome feeling! My apples cooked down a little too much in my pie, but Faith's apples kept their shape in hers. Sometimes you just need to experiment with what you've got. Oh, and I never waste anything. All of those crust edges? I turned them into a mini-crisp. I had plenty of dough left over for the bottom of a small 4-inch dish and topped the crisp with an oatmeal brown sugar crumble. Of course, I invited the girls to share in my apple pie. Pie tastes good alone, but it tastes even better in good company. Thanks for sharing your tricks, Faith! It was so yummy and I cannot wait to impress my folks over the holidays! P.S. Be on the lookout for our next cooking class in the country: coconut cream pie, coming soon! Yesterday, I scooped up Jodi and Emery for a ride around Clayton County. We were on a mission to check out all of the fall colors and beautiful scenery. We started out with a lead from our friend Gary and his trusty side-kick, Woody; so we hiked up the bluffs at Big Spring. It was such an amazing view and awesome spot for a bonfire. Gary, thanks for being our tour guide! Yes Woody... thank you, too! Next we drove out to a remote cabin by the Turkey River. The colors were breathtaking and we could taste fall in the air. After a few other stops on our journey we called it a day and headed back to Elkader. I needed to run some errands and wanted to make it to yoga. Yoga left me relaxed and refreshed. Instead of the usual 15 minute drive home, I drove up the gravel road along the Turkey River. With the sun setting on my left and the moon glowing on the right, I slowly made my way back to Saint Olaf. Yesterday I felt totally in the moment. I felt I needed to take the long way home, and I'm grateful that I did. It is so important to take time for yourself, time for friends, time out of our crazy busy lives, time to connect with the world around us.